please complete this form so we can mail your welcome packet. Only use this form if you purchased a Vehicle Title Recovery. If you ordered a VIN Check, we will be contacting you shortly. Enter the full name of the person or company that the vehicle will be registered to. Enter the name as it appears on the driver's license. Enter the mailing address where we will send your paperwork. You will receive it in 2-3 days. If you would like the vehicle registered to a different address, let us know at the end of this form. Enter the 17 digit VIN of the vehicle. If the vehicle is older than 1982, it may have a shorter VIN. Enter the mileage of the vehicle. If it's older than 2008, the mileage can be EXEMPT. Select the proof of ownership that you have for the vehicle. Enter the price paid for the vehicle. If there was no payment exchanged, enter 0. Enter any information you think we should know that may help us make our service easier for you. Thank you! Your Title Recovery packet will be mailed out to you within 24 hours! Expect it to arrive in 2-3 days. You will receive a form with instructions along with a pre-paid, tracked and insured envelope for you to safely send your documents back to us! 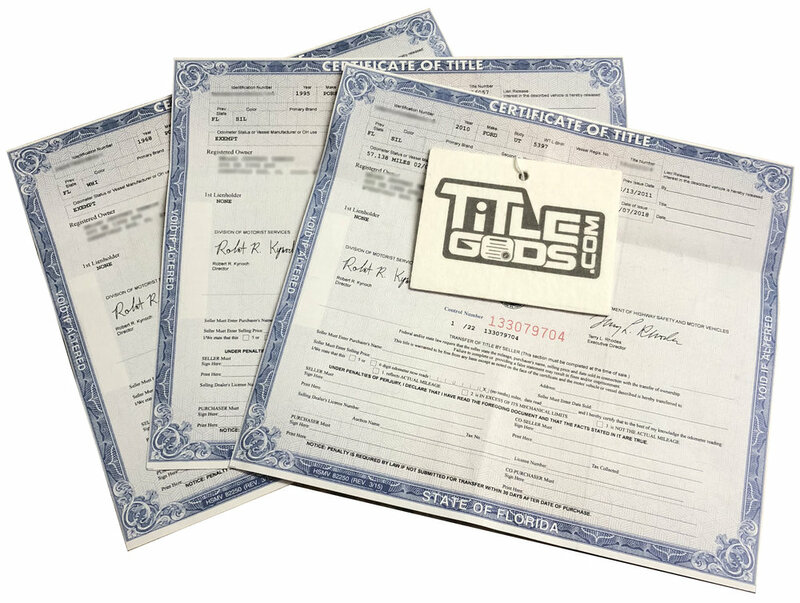 If you cannot complete the form, please call, text, or email us at any time with your info at (800)-341-2186 or info@titlegods.com.